As you all well know, being a college student, I am a very savvy shopper. Yes, I do shop a lot, but I also love bargains just as much as the next girl does. Well, this past weekend, I bought something which completely puts things (a.k.a. my life) in perspective. It made me understand just exactly, the value of money. Of course, this lesson on the value of money came in the form of this fabulous Michael Kors bag. Debating whether or not I should get it, I realized that what's the point of working hard if you don't reap from the rewards? I'm in loveeeee! It looks like a Birkin and that was good enough for me. I've never spent so much on anything and just thinking about what I could have bought with $348 makes my stomach cringe, but alas, YOLO. This last picture was taken by the wonderful photographer, Jessica Reagan :) Check out her cool photography and like her on Facebook HERE. Oh my, you really got it girl! You know all about the right compinations. Nice! Thanks for your comment Paola. I created a new category on my blog called "trends scouting". Love the shorts!! 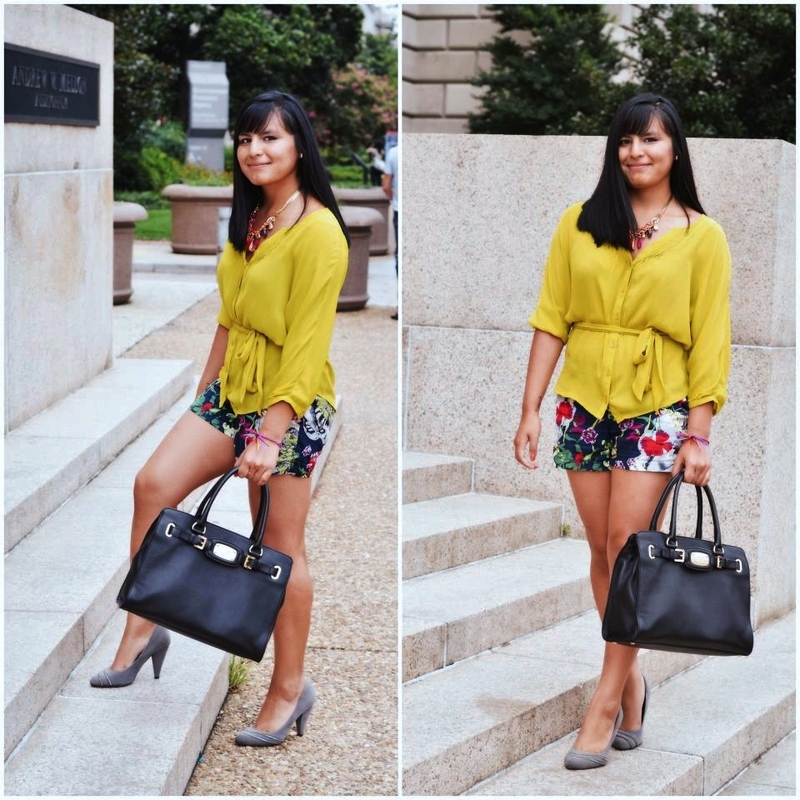 !such vibrant colors:-) and your bag and shoes are perfect for this outfit:-) Love it!!! i love how you combine flower print with yellow. Love the shorts! Great print.